The services of the New Jersey State Library Talking Book and Braille Center (TBBC) are just another no-cost and valuable service that your library can provide in your community. By bringing TBBC’s services to your library, you will be serving residents with print impairments and offering them library materials in accessible formats: Braille (print and web Braille), digital audiobooks, digital audio magazines, digital audiobook players and an audio news reading service, Newsline. In addition to serving individuals, you will be able to also serve places in your community, if desired, that serve eligible individuals, such as assisted living communities, senior housing residences, nursing homes, etc. For some inspiration, read our kudos. We recommend that you review our Getting Started_for Librarians to familiarize yourself with TBBC’s eligibility criteria, application certification process, services, and explore ways in which you can provide the services and market them in your community. We are partnering with many public libraries around the state. On this web page you will find additional information that will will helpful to you. We also have a FAQs page. Children & Teen Services & Readers’ Services: Contact Liz Burns at eburns@njstatelib.org . We all share the right to be treated with dignity and respect. Here is a list of several sources for guidance on the proper language and behavior to use when working with people who have physical, reading and/or vision challenges. The NJ Commission for the Blind and Visually Impaired offers suggestions on the proper etiquette to use when meeting with people with vision impairments. The NJ Division of Disability Services has an excellent flyer on the appropriate language to use with people who have physical or reading impairments. Guiding the Vision-Impaired: Here is a link to a web site of the American Foundation for the Blind that provides basic guidance on how to act as a human guide for the vision-impaired. At this web site, look for the search box at the top left and type in human guide. Service Dogs: Here is a link to a brochure from the National Federation of the Blind, “Meeting a Working Guide Dog Team,” that provides guidance on laws that protect the rights of the service dog and its handler, as well as tips on etiquette to use when meeting a service dog team. Applications: for individuals, institutions and libraries. Mail it: The last page of the application is a postage-free return label. Audiobooks and Audiobook Players: TBBC receives digital audiobook cartridges and digital audiobook players from the U.S. Library of Congress. Registered members of TBBC are entitled to long-term loans of audiobook cartridges through the mail and an accessible audiobook player. In addition, TBBC members will be eligible to download audiobooks and audio magazines from the Braille and Audio Reading Download (BARD) web site of NLS. Newsline for New Jersey residents is funded by the New Jersey Commission for the Blind and Visually Impaired (NJCBVI). A patron needs to apply for Newsline by contacting TBBC at 800-792-8322 or by contacting NFB-Newsline. If the patron has any difficulty with the online application, he/she can call Newsline at 1-866-504-7300. BARD (Braille and Audio Reading Download): Free downloadable digital audiobooks, audio magazines and Braille files are available from BARD through the National Library Service for the Blind and Physically Handicapped (NLS). A person or facility must first be registered with TBBC and then must apply separately online for BARD. If any person or any facility has difficulty with an online BARD application, he/she can call TBBC toll-free at 1-800-792-8322. Once a person applies for BARD, it will take approximately 3 days for the registration to be completed. Does a person or facility need to apply for BARD? The services from BARD require a separate online BARD application. Apply here. Will the BARD audiobooks play on a computer or laptop? The files are encrypted by NLS to protect their copyright. The BARD files will only play on the Digital Talking Book Machine (DTBM) or other approved devices. A list of NLS- approved devices is available to registered BARD users. Patrons will have to download software patches for their approved devices. If anyone has questions, he/she can call TBBC at 800-792-8322. BARD Mobile app for Android, Apple and 2nd generation Kindle Fire devices. A person must first have a BARD account. With that account in hand, a person will log into BARD Mobile using his/her BARD username and password. BARD users can log in here. General BARD use and downloading instructions. Here are instructions using various browsers. Braille Books: TBBC has a collection of Braille books that can be loaned to TBBC members. There are two ways to search our Braille collection: you can review the online index to Braille Book Review or you can search our online catalog at http://opac.njlbh.org/opacnj and limit your search to Braille. Call TBBC with any requests at 1-800-792-8322. Downloadable Braille: Downloadable Braille is integrated into BARD. NLS provides access to braille books, magazines, and music scores. Braille files may be read online or downloaded for viewing off-line or for embossing. Reading Braille files requires a braille display, braille-aware notetaker, or braille embosser. To download Braille, a patron must first be registered with TBBC and then must register for a BARD account. The person can call TBBC at 800-792-8322 or contact us via email at tbbc@njstatelib.org. American Printing House for the Blind offers accessible media guidelines & best practices. Lighthouse International offers good, basic guidelines on how to design print materials and web sites for accessibility to those with low vision. Web developers should consult The World Wide Web Consortium (W3C) accessibility guidelines. Apple’s accessibility features in OSX and iOS. Google’s Products (including Android platform). Watch an audio-described video demo of the audiobook player. Talking Book Topics (TBT). TBT is published every two months by NLS, it is mailed to all TBBC members and it lists new items. TBT is available in large print, on the web, and can be downloaded as an audio magazine from the Braille and Audiobook Reading Download site (BARD). TBBC’s Online Catalog: TBBC members can search TBBC’s online catalog and request books; they must call TBBC to obtain their username and password. Audio Magazines: TBBC members can subscribe to several digital audio magazines. Talking Book Topics (TBT) lists audio magazines available to members. To subscribe, the person must call TBBC at 800-792-8322. Breath switch. For those who cannot use hands to start and stop a book. Catridge Cable (connects a blank cartridge to the computer for downloading). USB extender for a flash drive. The USB extender allows a flash drive to sit parallel to the machine. TBBC does not provide devices for downloading, such as flash drives or blank cartridges. We will loan a flash drive to a patron; a patron can call TBBC for more information. Patrons or Libraries can buy blank digital talking book cartridges; NLS provides a list of sources. Audiobooks, audio magazines and Braille files can be downloaded from the Braille and Audio Reading Download site (BARD). 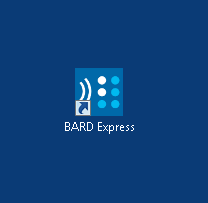 TBBC members can download Braille files from BARD (a Braille output device is required). TBBC’s patrons can download audiobooks, audio magazines or Braille files from the BARD web site to a flash drive or a blank digital cartridge. A person must first be registered with TBBC and then must register for BARD. Librarians can assist patrons with the BARD registration process and with BARD downloading. As a reminder, BARD audio files are available only to those registered with TBBC and are encrypted for copyright protection; they will only play on the NLS audiobook player or on other (for purchase) authorized NLS players. Braille files require a Braille output device. Accessories for BARD downloading: BARD books and magazines can be downloaded to flash drives or to blank digital cartridges. TBBC does not provide these; a patron must purchase them. Flash drives can be purchased anywhere. Blank digital cartridges with USB extension cables can be purchased from various vendors; NLS provides a list of sources. TBBC provides USB elbow extenders which allow a flash drive to sit parallel to the machine, rather than jut out from the side of the player; a patron can call TBBC to request one. If multiple audobooks or audio magazines are downloaded from BARD, you can access each item on the flash drive by finding the bookshelf on the player. To find the bookshelf, press and hold the large, green play/stop button until you hear “Bookshelf.” Then, press the rewind or forward buttons to move through the flash drive. Repeat this to find another book on the flash drive. The person must first be a registered TBBC Member. Once a TBBC member, must then register for BARD. The 1996 Chafee Amendment to the U.S. Copyright Act governs NLS materials. The NLS audiobooks provided by TBBC are encrypted for copyright protection and are available only to registered TBBC members. They will play only on the no-cost NLS audiobook players provided by TBBC or on other NLS-authorized devices that a patron can purchase. The TBBC equipment and audiobooks must only be used by TBBC members. TBBC Trifold Brochure. Apply your library’s address label to the “Contact Us” page. We also have the tri-fold in Spanish. Flyer to customize for your library- “Need a Better Way to Read?”. You can take this flyer, edit out TBBC’s contact info if desired, and insert your library’s information. Mini-marketing message: “Need a Better Way to Read? You or Someone You Know may Qualify for a Free Audiobook Player. Ask your Librarian! TBBC ships all of its materials free of postage to the homes of its members as “Free Matter for the Blind or Handicapped.” If a library works with TBBC patrons and has materials of its own it would like to ship to them, the library may be able to ship them postage-free as well. For more information on materials covered as “Free Matter for the Blind or Handicapped” and for information on how to package them and how to comply with the Free Matter law, consult 39 U.S.C.3403-3405. Additional information is also available in the Domestic Mail Manual from the U.S. Postal Service. Here are selected statistics that will be helpful to your management of TBBC’s services in your library. Approximately 37% of TBBC’s patrons use public libraries, according to TBBC’s 2012 patron survey. 61% of audiobook listeners prefer to borrow from public libraries, rather than purchase audiobooks. Of non-book readers, 18% of those 16 and older report physical or health conditions make it difficult to read; 25% of those over age 50 report physical or health conditions make it difficult to read. Between 2000 and 2010, there has been a 27% increase in the number of cases of vision impairment in the U.S. (2000 = 3,295,670; 2010 = 4,195,966). In 2010, approximately 3% of the U.S. population had a vision impairment (64% female; 81% white). By 2030, a 71% increase is projected and by 2050 a 210% increase (2010 = 4,195,966; 2030 = 7,169,680; 2050 = 13,026,870).